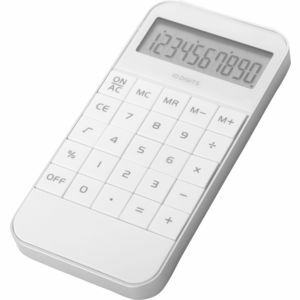 Modern 10 digit pocket Calculator. A must for any desk. Gloss finish. Complete in plain white box. Takes 1 x LR44 battery included.